Thanks to Mihai for the link! German business daily "Handelsblatt" reported in its Monday edition that the military arm of plane maker Airbus had started preparations for building a new European fighter jet. Airbus Military chief Fernando Alonso said in Toulouse that the company was currently working on some components for the jet at its locations in Germany and Spain, with funding coming from the respective governments "and hopefully other players in the future." As the EU executive aimed to define a joint foreign and defense policy in the 28-member bloc, Airbus said it would definitely make sense to drastically reduce the number of different weapons systems with a view to enhancing efficiency and ultimately saving costs. The plane maker noted that several nations, including Germany and Spain required new air defense systems mid-term, and a new integrated approach towards a pan-EU fighter jet combining the capabilities of drones, satellites and reconnaissance planes would be useful, Airbus argued. The US military is already in the planning stages for a 6th gen fighter for both the Navy and Air Force. The EU is kinda behind the power curve for a clean sheet design so I see them (if this comes to be) going with a massive upgrade for the Eurofighter. 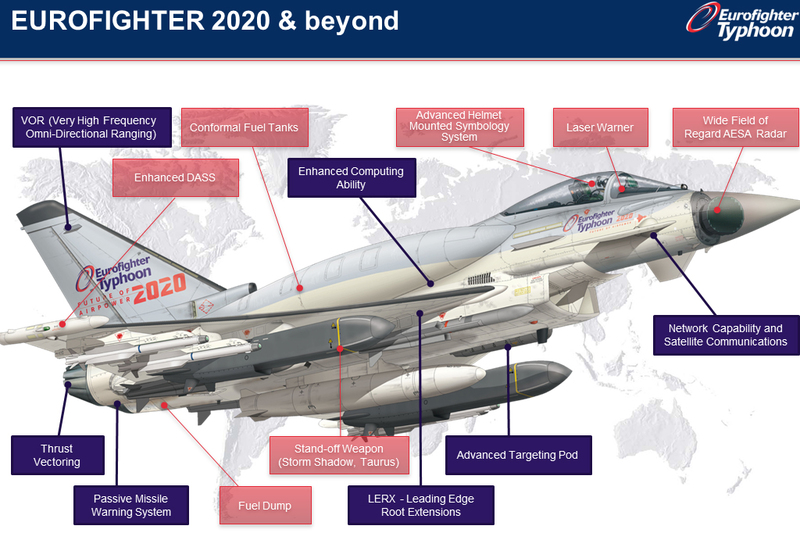 That means the rebirth of the EuroFighter 2020 (maybe they'll rebadge it as the 2030 or 2040 to make it seem ultra modern). What has me a bit confused is what game were the Germans playing. Recently they asked for the classified brief on the F-35. If that has been done and they turned around and gave the info to Airbus then we have a problem with the Kraut eaters. What makes me suspicious is that they're pretty solid on where they want to go with the new planes capabilities...capabilities that we've heard as being central to how the F-35 will survive in the new, revised and updated talking points on how a slow, sluggish pig of an airplane will sweep the skies of all enemies. Clean sheet design or drastically updated Eurofighter, this should be worth watching.